Comtrend's pg-9172-kit g.Hn power line adapter kit contains 2 g.Hn adapters. 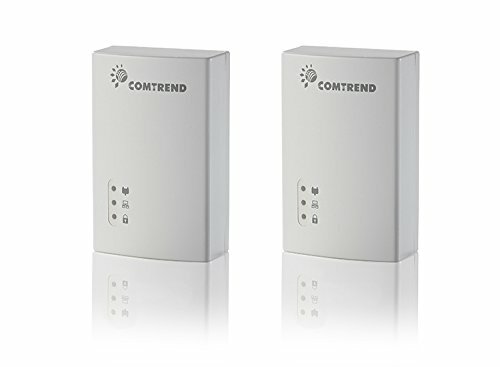 It is a g.Hn-based power line solution designed to give users a better alternative to connect devices within a home or business network. Using existing electrical wiring and power line technology, devices can now be connected at wired speeds without expensive rewiring with Ethernet cables. With new G.Hn technology, real world power line performance is significantly improved over current power line standards. G.Hn minimizes the line of interference and maximizes video throughput.